Leading domestic travel operator, AAT Kings, has announced its ultimate gift card giveaway – book any AAT Kings operated Guided Holiday or Inspiring Journeys between now and 28 February 2019 and earn a $50 Gift Card per booking. And for double rewards – agents can earn a $100 Voucher for bookings made to Tasmania or NZ, departing prior March 31*. With the great value on offer at the moment – AAT Kings is making it easy for agents to sell Australia and New Zealand scoring themselves a Christmas bonus at the same time! 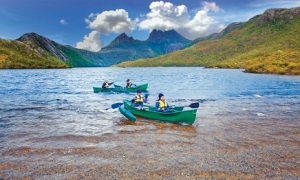 Take advantage of the impressive range of itineraries such as Tasmanian Wonders – a 10 day Guided Holiday, the ideal introduction to the island state. Combining spectacular landscapes with exposure to rich convict history and gourmet artisan produce, guests are taken to unforgettable locations to ensure memorable encounters. Step back in time at Port Arthur, and visit the wild Gordon River, Cradle Mountain and the pristine Tarkine Wilderness. 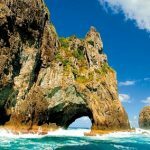 Or for those looking for a longer escape across the Tasman Sea – Best of New Zealand offers pristine white beaches of the North Island to the snow-capped peaks of the South. Across 18 days, explore every nook of New Zealand, a heart-pounding haka which welcomes guests to Rotorua for a taste of Māori culture, while a world-renowned train journey tops off time in The Land of the Long White Cloud with scenic splendour. *Call your Sales Manager or AAT Kings Reservations for more details or the T&Cs.